2000 Tiara 3500 Open twin Cummins Diesel - SOLD! 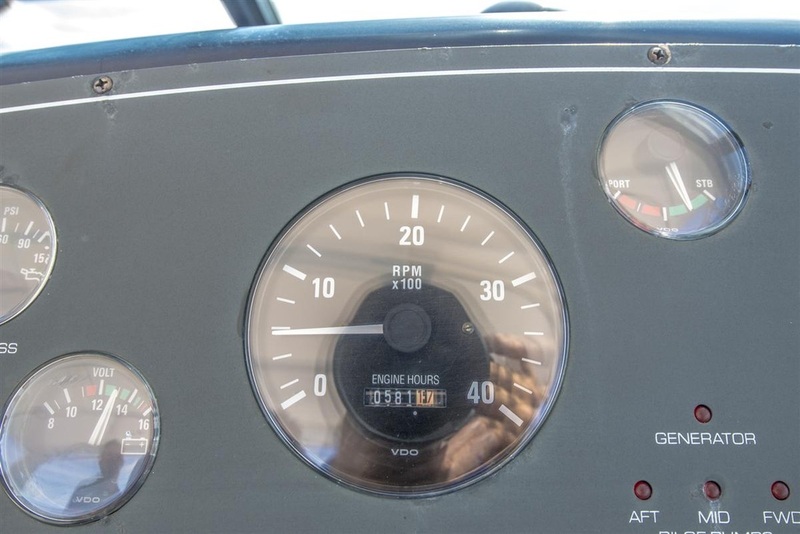 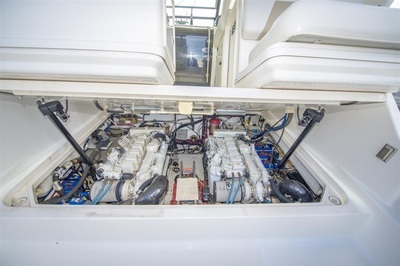 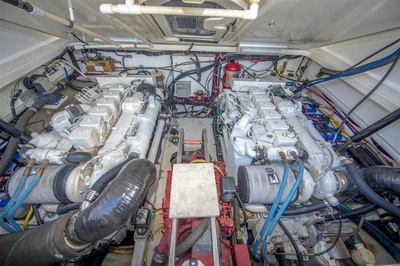 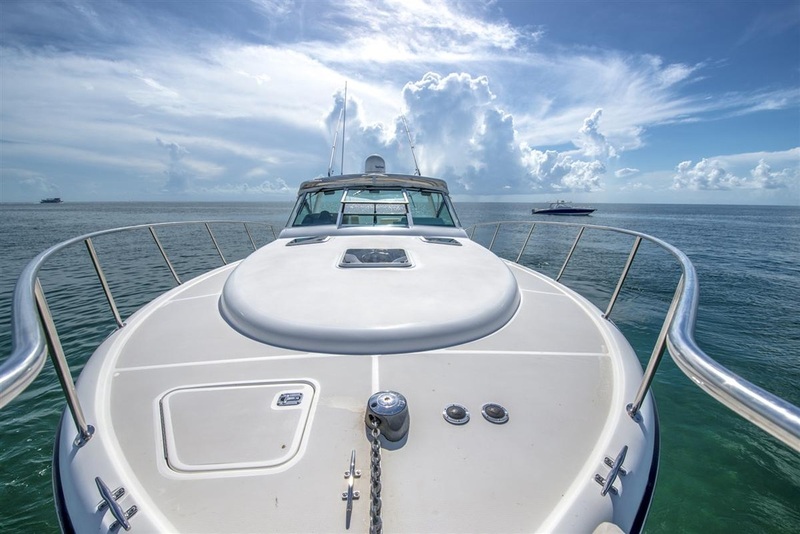 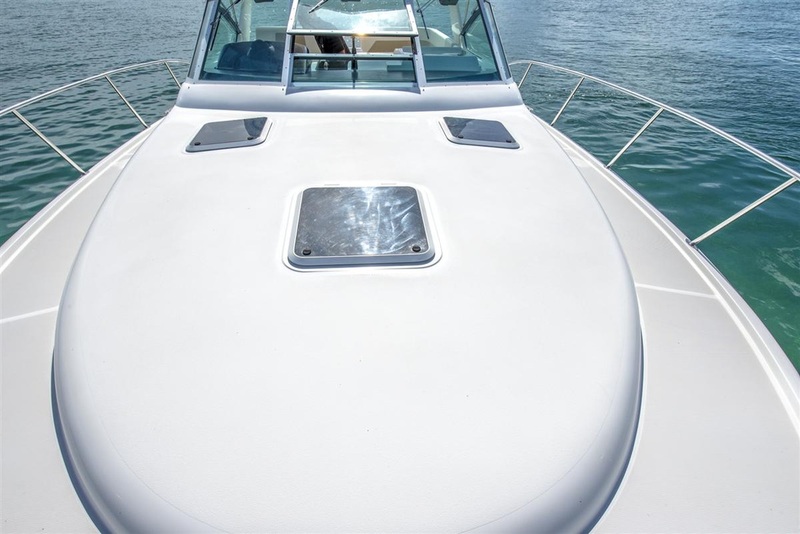 Immaculate inside and out, meticulously maintained, all service and maintenance including haul out, bottom job, generator service, is all completed and ready to go! ONLY 580 hours! She performs well and provides a smooth solid dry ride thanks to her hull design and large bow flare. 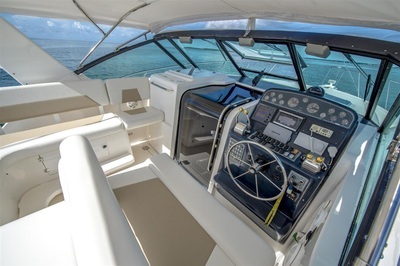 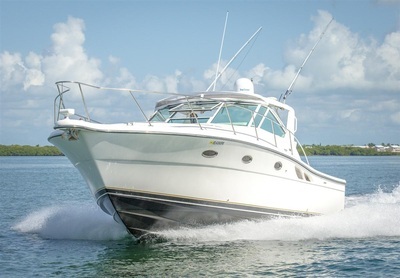 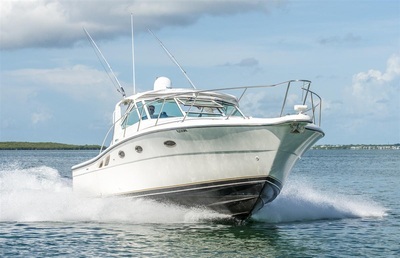 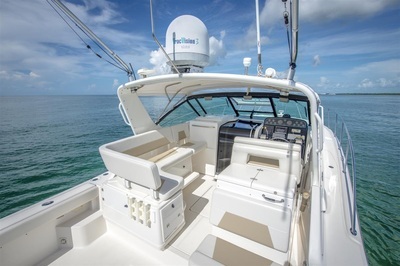 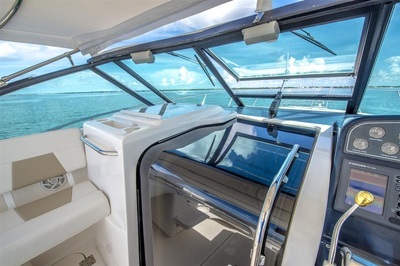 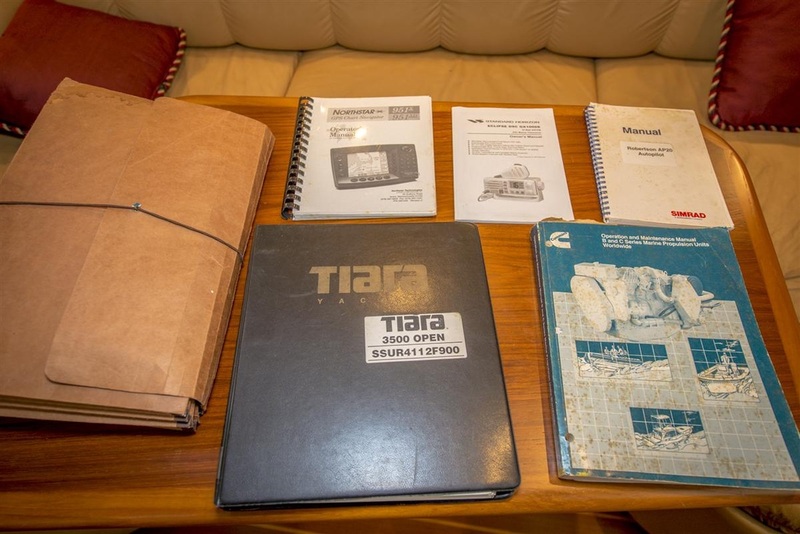 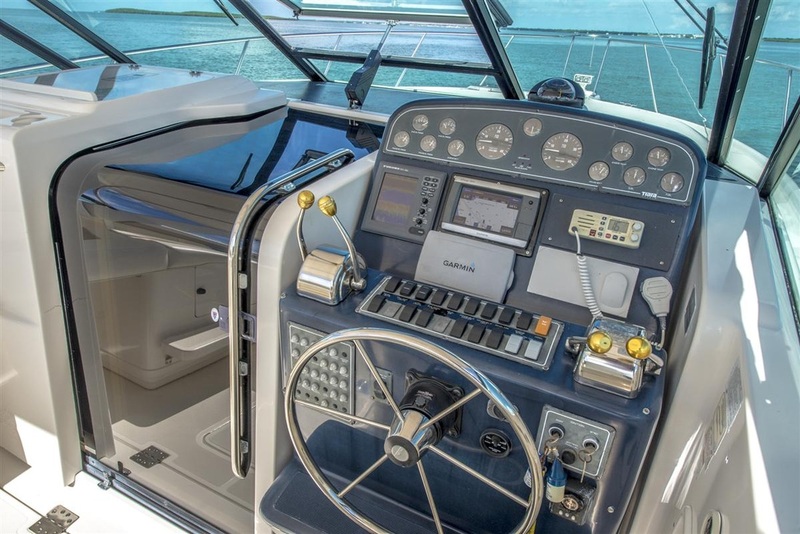 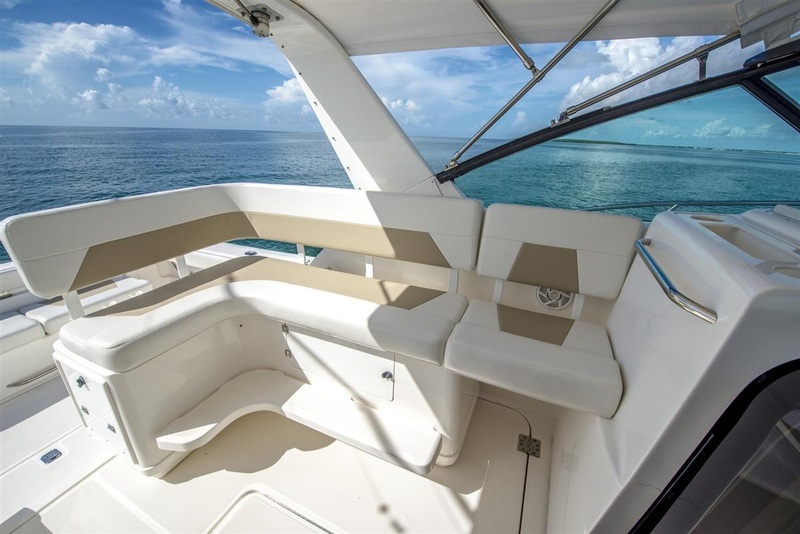 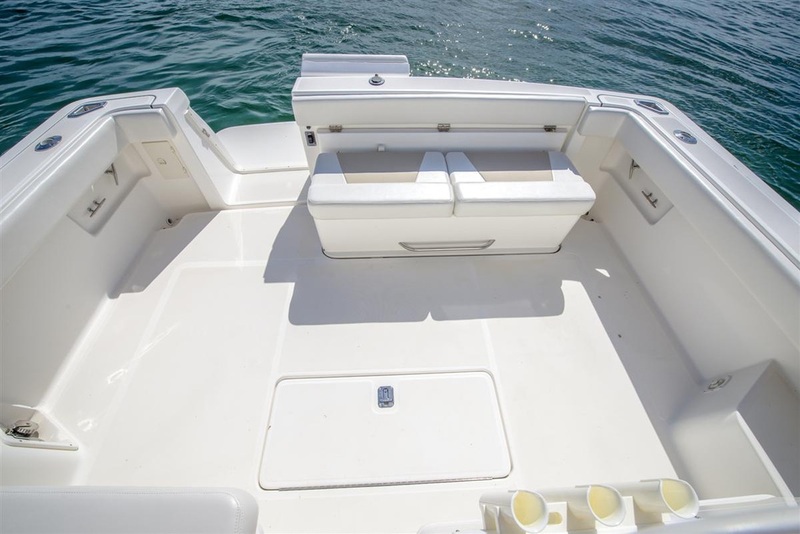 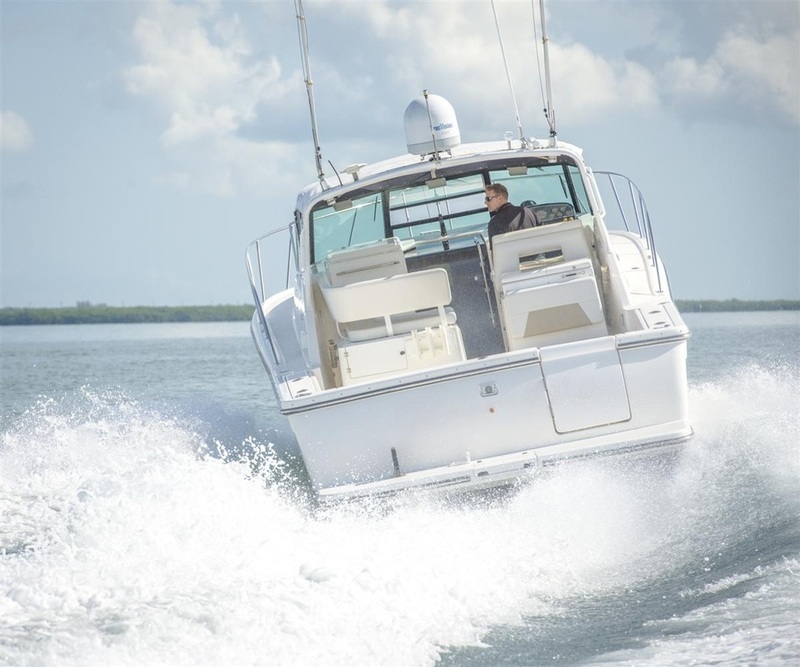 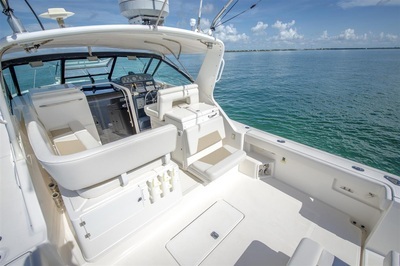 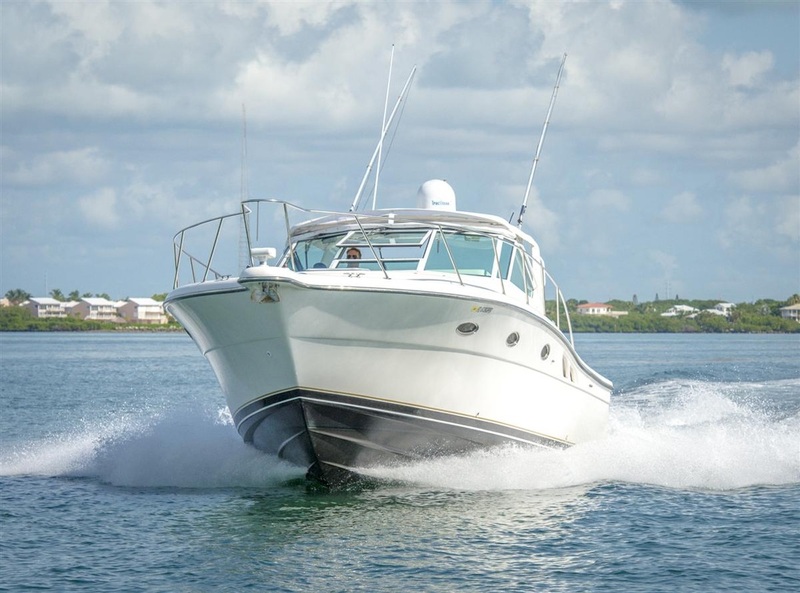 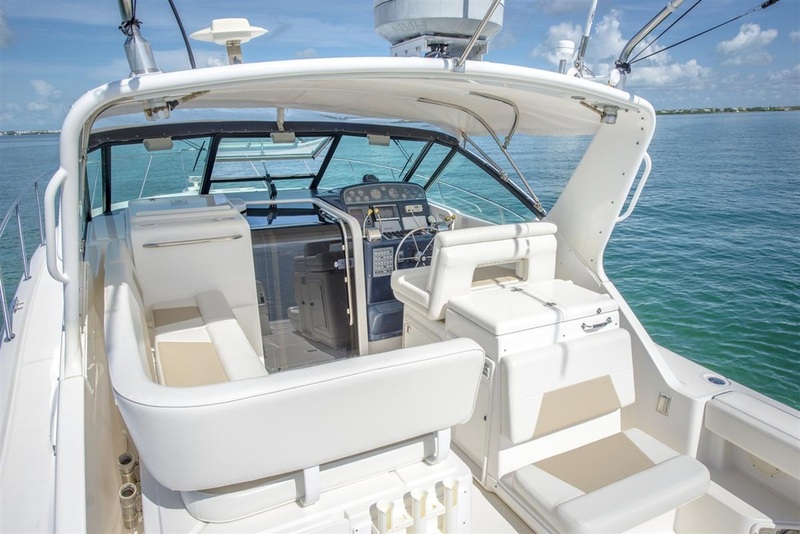 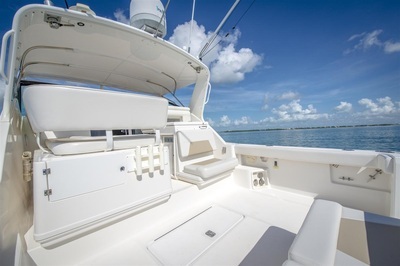 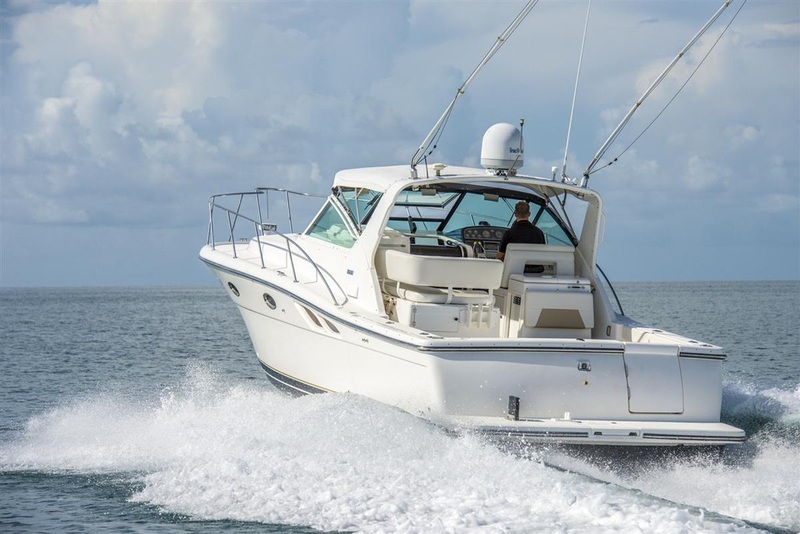 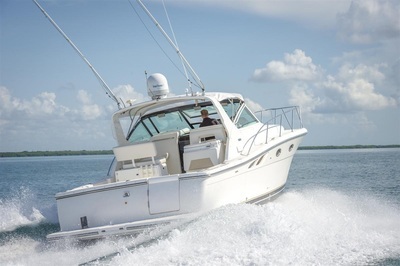 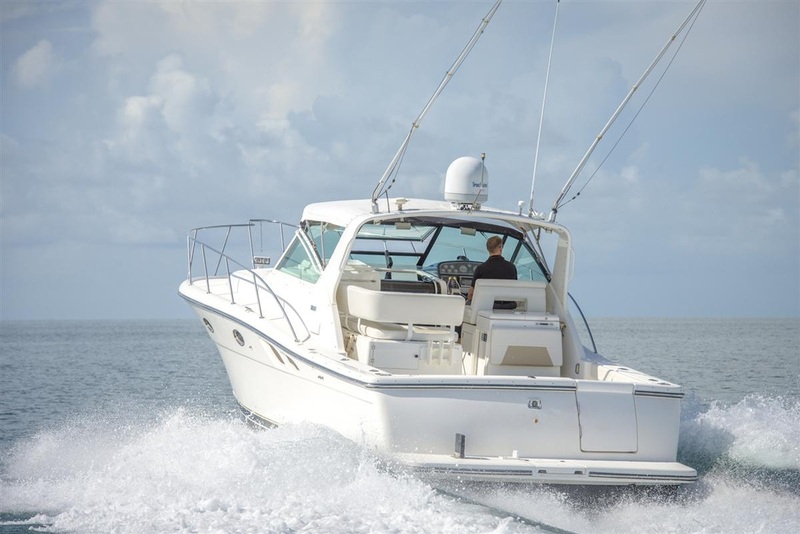 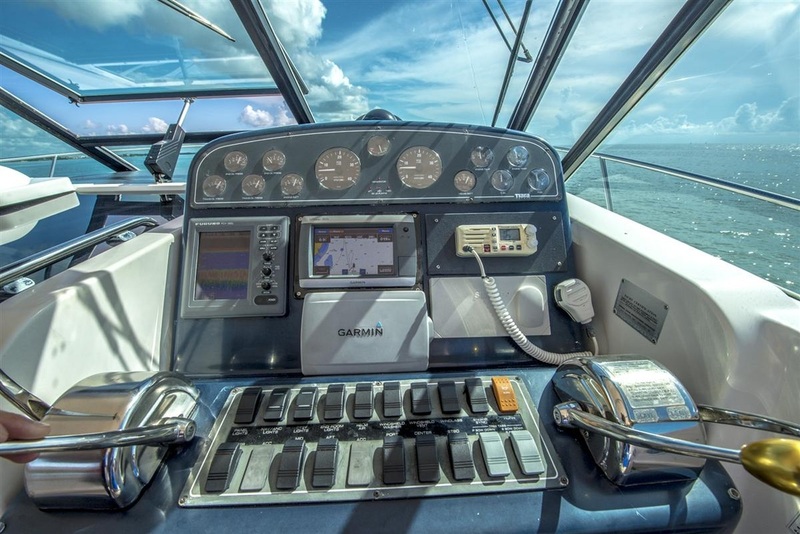 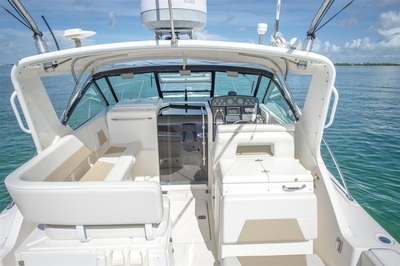 The Tiara 3500 was designed with Plenty of room to fish, dive, cruise, and socialize, in style. 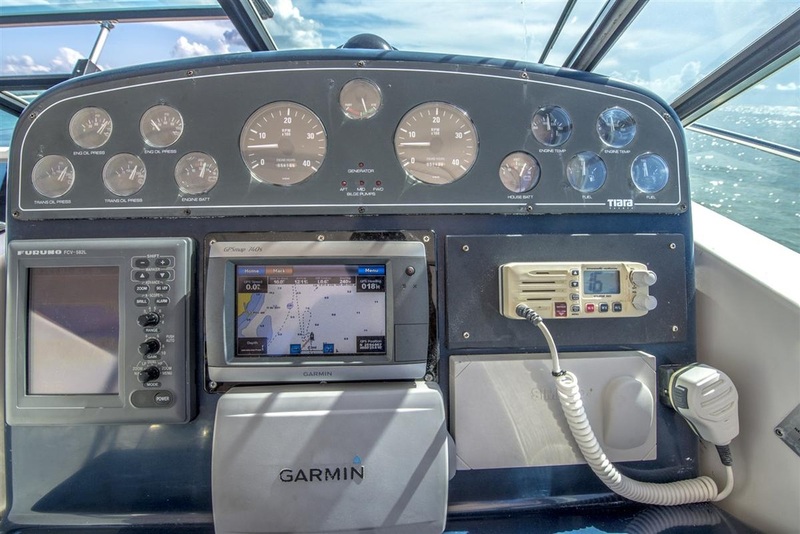 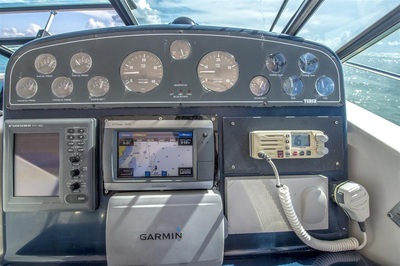 The 70 square foot cockpit has an in floor storage-box, transom door, integrated large swim platform with a folding ladder, wet bar and plenty of storage for food and beverages under way. Tons of amenities, such like coaming bolsters surrounding the large cockpit, the extra bench seats both fore and aft for extra guests, and port L-lounge seating are just a few. 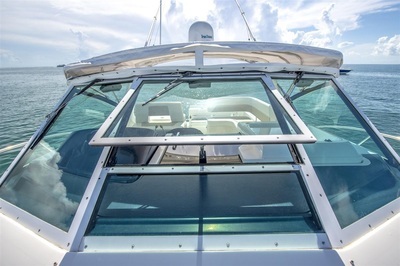 The windshield is high and offers plenty of protection and the electric windshield vent offers the options of a cool breeze. 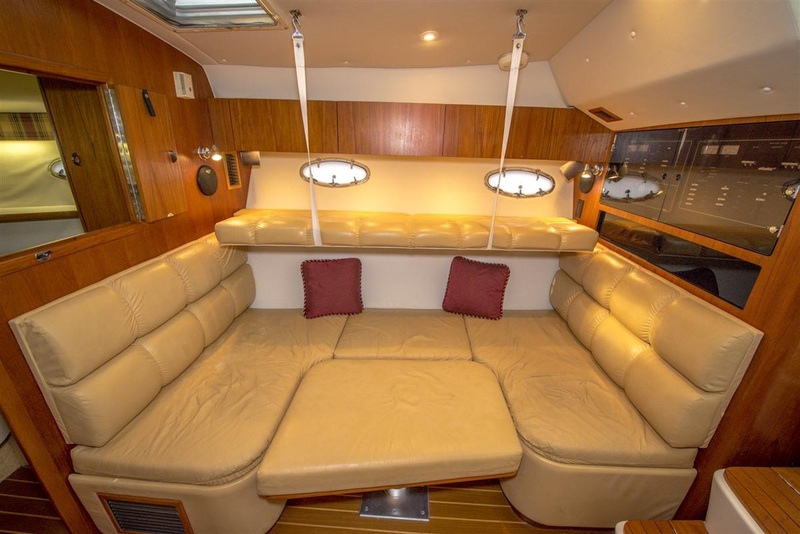 Accommodates five adults comfortably with a private owner’s stateroom and a lounge/dinette area, which easily converts into a double berth, with the backrest folding up to for an addditional bunk. 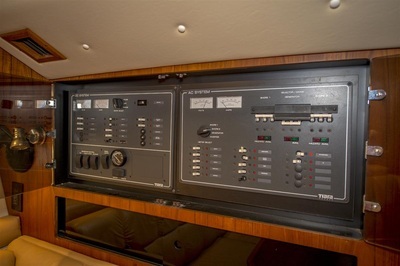 The Galley has a refrigerator/freezer, standard microwave, two-burner cooktop, and over/under storage. 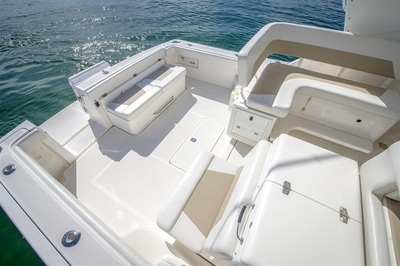 There’s 6’6” headroom throughout the cabin.